As the year 2016 is coming to the end, it’s time to calculate of what has happened in last 12 months. Musically, it was a good year for Allex, who brought you numerous episodes of his Experiment podcast, released lots of new house tracks and also his record label Experiment Records launch in June was a massive landmark of his successful year. 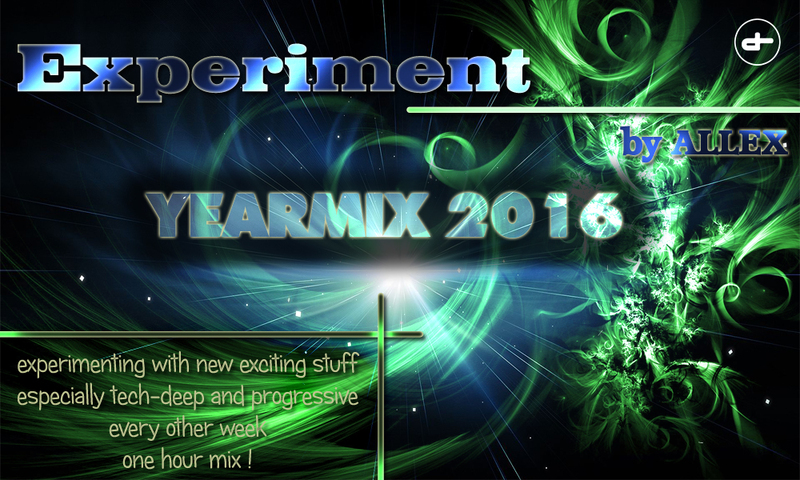 So let’s have this Yearmix 2016 as a little present for all the support from you. Counter stopped at 85 tracks used this year. So let’s have some fun! 66. Mark Knight – VoulezWho?